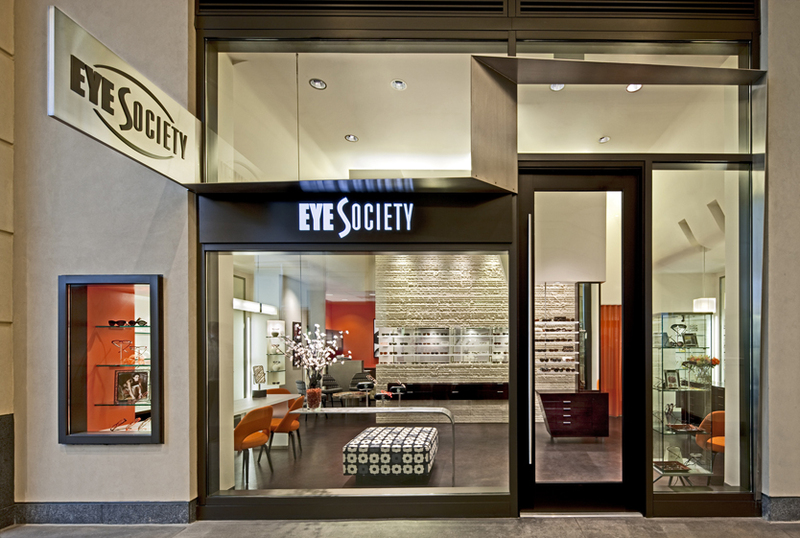 Eye Society, a high-end eyewear boutique, wanted to create a unique, unexpected experience for its customers. With limited square footage in a newly built retail center, the owner sought to energize the space and convey a sense of vibrancy and artistic flair. SkB Architects was enlisted to design a space that was big on impact and played upon Eye Society’s exceptional customer care. 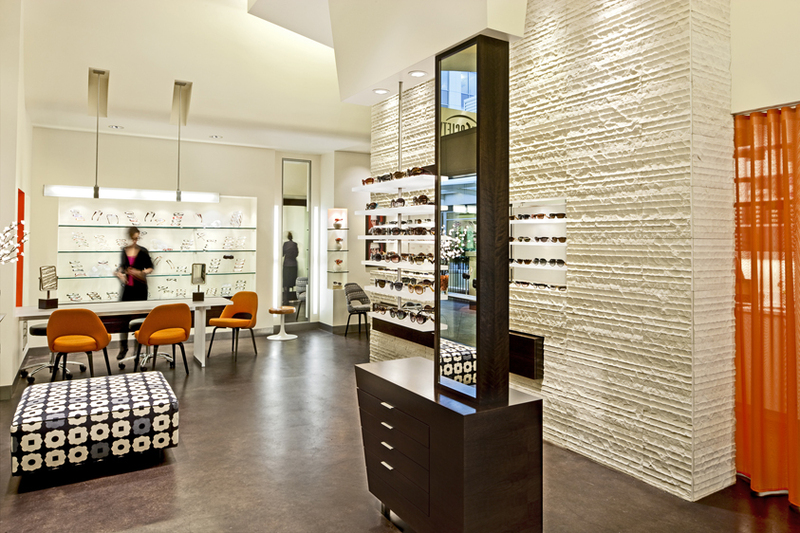 SkB maximized the space by creating a suggestion of stations that walk people subtly through the eyewear decision making and purchasing process, and that allow for more intimate interactions with staff. 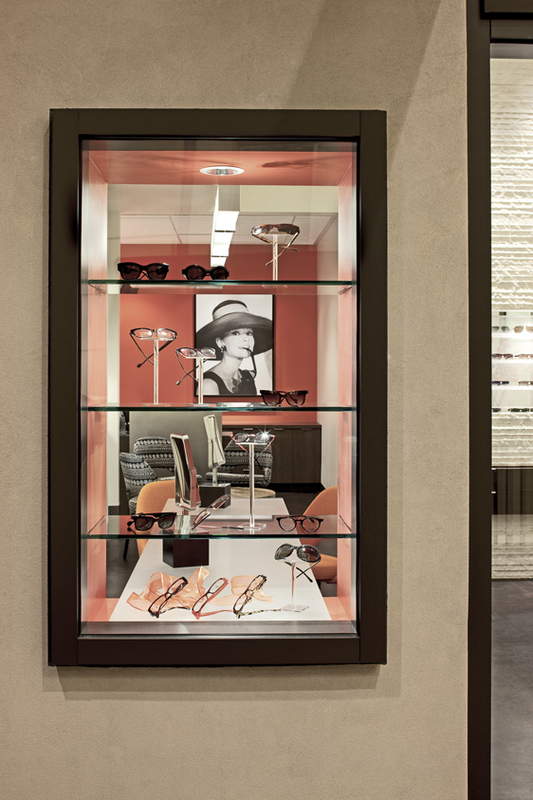 Likewise, the firm incorporated displays with varying motifs, using combinations of spot and back lighting, to highlight different types of eyewear. 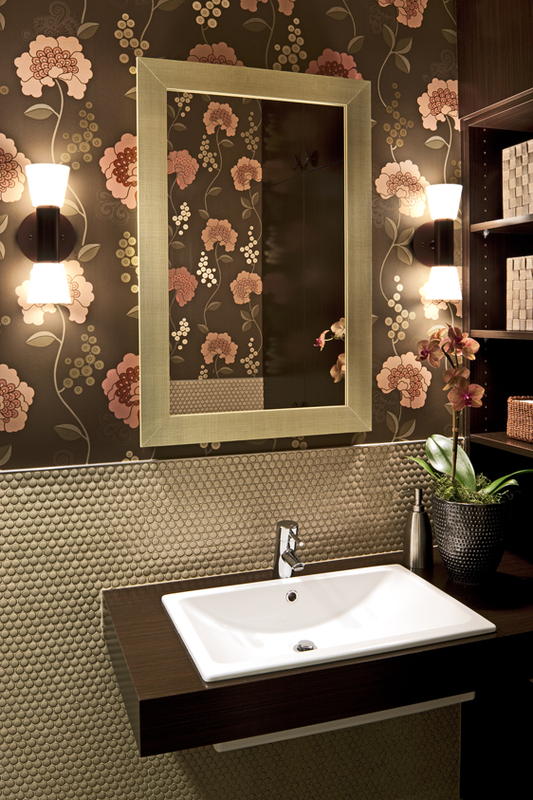 Central to the space is the split stone wall which offers a highly tactile, attractive element to the boutique. The wall serves as a screen to divide the storefront from the exam rooms and lab, allowing a clear separation without a solid barrier. The vivid orange and white palette, coupled with the wood furniture and quirky décor, makes this space a bold stand-out in its genre.